Есть вопрос для De Arni Hotel? De Arni Hotel — это отличный выбор как для туристических, так и для деловых поездок и посещения города Бангкок. Отель расположен в 1. Km от центра города и обеспечивает доступ к наиболее важным объектам города. Тихая гавань, где гости найдут все для полноценного отдыха после осмотра таких городских достопримечательностей, как Консульство Латвии, Savile Row Fashion, Бангкокский Христианский Госпиталь Силом, расположенных неподалеку от объекта. Отличный сервис и высокое качество услуг в De Arni Hotel помогут сделать ваш отдых незабываемым. Этот отель предлагает многочисленные услуги, которые могут удовлетворить даже самых взыскательных гостей. Здесь вас ждет необычайно высокий уровень комфорта и качества. А в номерах вы найдете: телевизор с плоским экраном, Wi-Fi (бесплатный), кондиционер, услуга будильник, письменный стол и т. д. Предлагаемые здесь удобства (фитнес-центр, спа, массаж) помогут вам отдохнуть и расслабиться после насыщенного дня. De Arni Hotel отлично подходит для короткой остановки в городе Бангкок, предлагая оптимальное сочетание цены и качества. Расположение удачное, но если ваша цель шопинг, ищите Отель рядом с Торговыми центрами. Персонал отзывчивый, англоговорящий, завтрак стандартный континентальный. Просила номер для некурящих, дали прокуренный, менять не стали, устали с дороги. Кондиционер шумный. На Uber taxi нам поездки до СиамПарагон обходились 150-200бат. На метро 40 бат, но до него идти минут 10. В целом приемлемо за эти деньги. Гигиенический набор , сейф, вода и минибар есть в номере. Маленький гостеприимный отель в центре Бангкока. Однозначно можно сказать, что расположение очень удобное - в центре и как плюс в тихом месте. Все преимущества отеля описать нет возможности в связи с военными действиями в мае 2010 года, т.к. большую часть времени просидели в номере и все рестораны, бары, магазины в округе были закрыты. My stay was ok, hotel is near nightlife, room was okay too. I would come back here. I stayed at the DeArni a few weeks ago and am back again now. It’s a delightful little boutique style hotel, well located within easy walking distance to shops, restaurants and the BTS skytrain station. The staff are friendly and always very helpful. I highly recommend this nice and clean hotel!! The location is perfect for all activities! so close to the Pat Pong night market!! 5-minute walk from the nearest metro station, and BTS station/ Sala Daeng All hotel staff are so nice! and Free-parking for the hotel guest!! 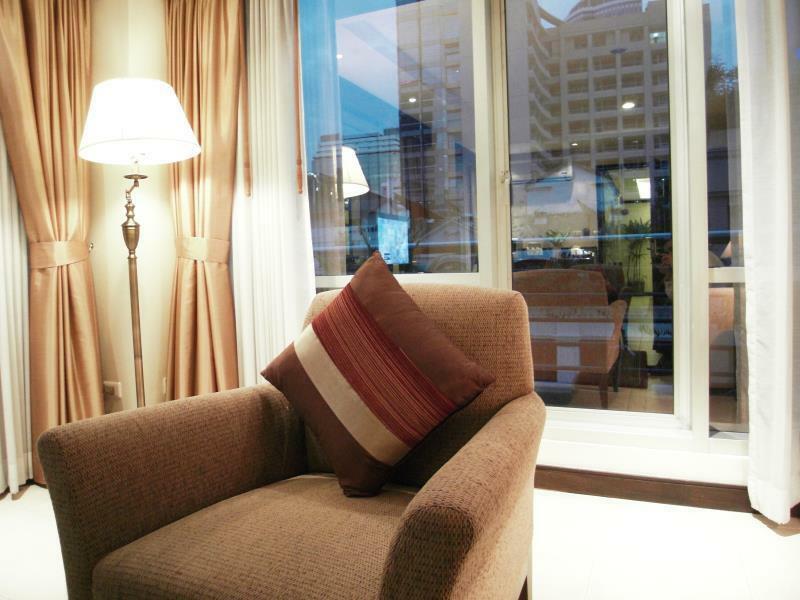 First time choosing De Arni Hotel as I wanting to stay at Surawong Road to meet a friend. Many years ago when De Arni Hotel was new I walked in and was snobbed by the counter manager so it took me some acceptance to relook at De Arni. Counter staff were different and they were very nice people. I found the room comfortable so I was quite pleased. Though I did not stay the second night (out of 3 nights) as I had to fly out of town to Buriram quite suddenly and return the next day. Only then I noticed on the final night that the aircon was dripping with water. Other than the aircon, everything else was perfect! On this note I would also like to thank the management for a mistake I made over online booking where I cancelled the booking to add in Breakfast option. There was a penalty but through Agoda and De Arni management it was waived. It was very nice and kind of them. THANK YOU. Booked rooms with bathtub but provided old rooms for the first day. 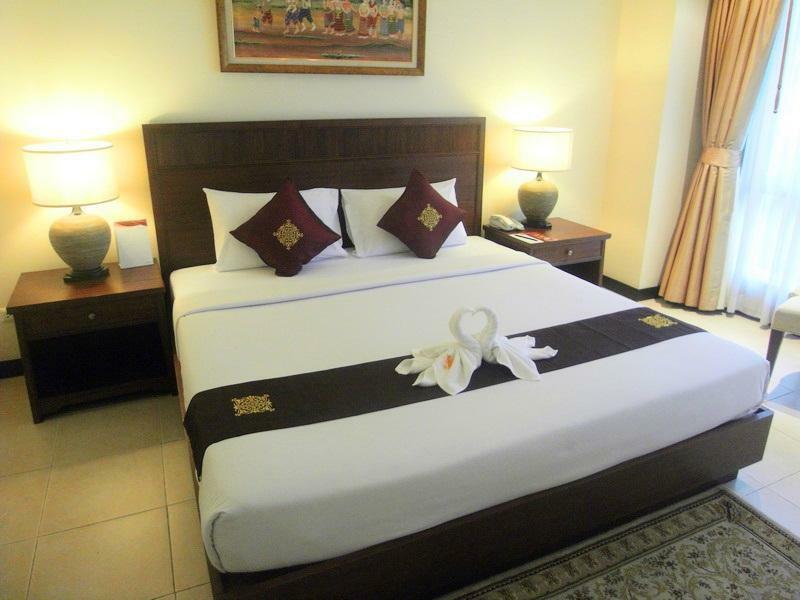 The staff are efficient and helpful, the location is excellent for trips in and around Bangkok. Pollution has never bothered me in this location and the streets are very clean compared to many years ago. The market is within a short distance as is Silom Shopping Mall. Smoky Tuk Tuks have all but vanished to be replaced by many taxis. All in all I will always use the De Arni provided they maintain their excellent standards. This hotel is for Japanese. I have stayed here more than 4 times but I've never seen foreigners from Europe and USA. Thus Japanese may feel this hotel a kind of home hotel. Location is so great that you can walk to the closest BTS Station Sala Daeng in 10 minutes and MRT Si Lom Station in 15 minutes. Maybe what everyone is missing is that it's so close to Chula University(check the map). Because a couple of group who came here for girls are roaming night after night, I don't recommend this hotel(this area) to woman travelers. - Located in a very lively area. Surrounded by a lot of shops, street vendors and massage parlors. 2 mins walking to Papong night market. - Price is quite cheap. 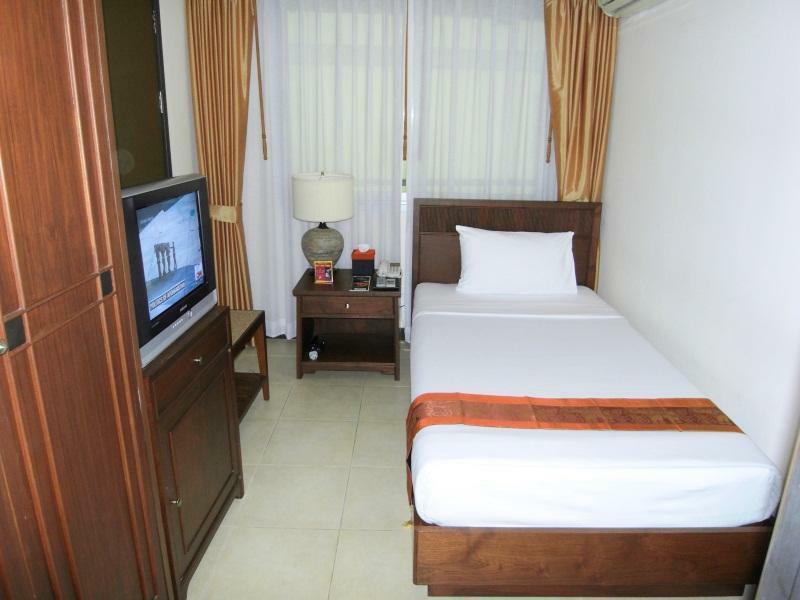 It's a small hotel with good facilities and is in good condition. - The reception allows me to check out before 2pm. Nice! - Very satisfactory in general. Each time we're in Bangkok we stay at this lovely little boutique hotel and are always remembered and warmly welcomed back by the lovely and super efficient staff. It feels like coming home. 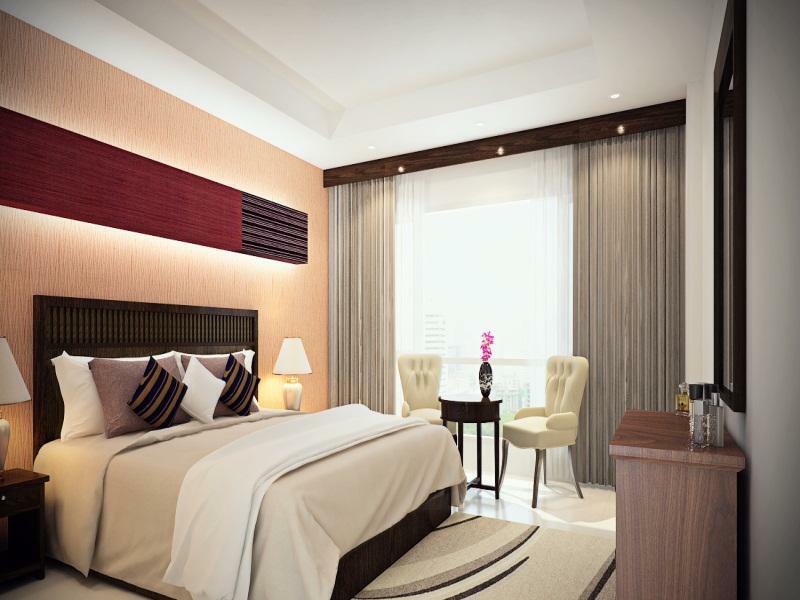 Rooms are lovely, well appointed and spotlessly clean. I had a great time during my stay. I love the location, it's easy to find. Near Sala Daeng BTS station or Sam Yan MRT station. Just 1 minute walk from Patpong, beside Le Meridien Hotel. I would definitely come back and recommend this hotel to my friends and family. We have stayed at the De Arni each time we've visited Bangkok since they first opened. It's lovely to be welcomed back as old friends each time we arrive and looked after as though we are special people. My stay was great. The location is very perfect for night bazaar, nightlife and culinary to name a few. 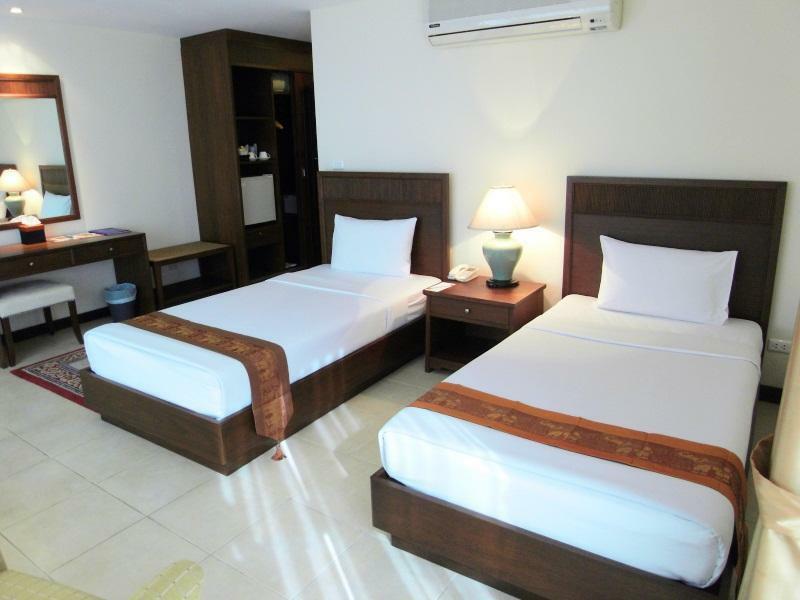 It's just next to Le Meridien hotel and easy to find because it's located on the main road of Suriwong and 3-5 minutes walk to closest BTS station Saladeng in Silom. I would recommend this budget hotel for everyone who want to enjoy nightlife in Silom / Suriwong area. The staffs are very attentive and polite. Single room is tiny. For same price I could get a better room in area. In fact checked out after my booking and stayed the extra night at a nearby newer hotel. All rooms are smoking and the smell was strong. There were some ashes in sink when I checked in. The staff gave me a new room later.